The world needs more little felt owls to decorate bags and cushions. Yes, it does. So do your bit, folks. In the name of cuteness, get stitching pretty owls. And have a hoot doing it. 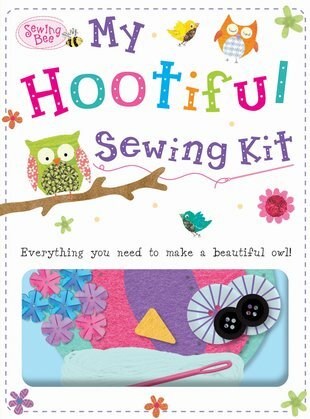 This kit brings you one big owl to sew out of soft felt and sparkly sequins. All the fabric, buttons, spangles, thread and other bits you need are included. Plus: you get ideas and templates to make owl hairclips, a bookmark, jewellery, a banner, greetings cards and even a wall hanging. Twit twoo! Where will you put all your gorgeous new friends?